The previous issue of National Geographic had an extensive article about albatrosses and their current plight. Prior to reading that, albatrosses had been haunting the landscape with their mythic forms in many of the books I had been reading about the Antarctic. How can one not fall in love with a creature that spends years wandering the seas on wingspans up to 11 feet, only returning to land to form pair bonds and mate. In sea lore they were said to be the souls of lost sailors. 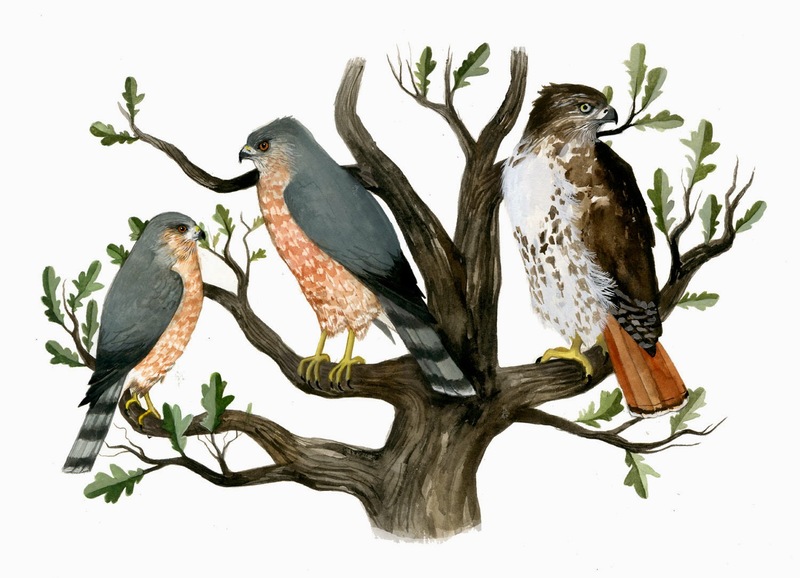 They mate for life, and some species can live over 50 years. I fell in love, but was guilty of the assumption that creatures that inhabit remote, seemingly pristine areas, whether it be the wide oceans, or remote colonies in places such as South Georgia Island, have somehow been spared the toxic touch of humans. Duh, was I wrong. The National Geographic article brought into sharp relief the slippery slope of extinction on which almost every species of albatross is teetering. Numbers worldwide have been plummeting due to long-line fishing (albatrosses get stuck in lines), and oceans full of plastic flotsam (ingest plastic pieces and will feed them to their young). 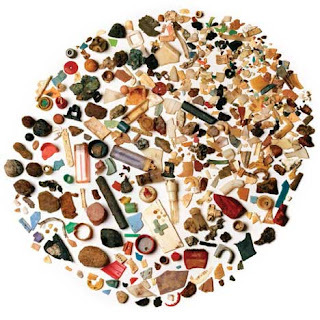 To clarify the point of plastics, the above photo is the entire stomach contents of a young Laysan Albatross. Awful. Laysan Albatross belong to the family Diomedeidae (all albatrosses, much debate as to how many species included, but number currently hovers at 21), and the order Procellariiformes (tubenoses that also include storm petrals, and diving petrals). "Laysan" refers to the breeding colony in the Northwestern Hawaiian Islands. In addition to the threats mentioned above, Laysans breeding in the Midway Atoll have fallen prey to lead ingestion. Albatrosses in this area have been ingesting lead-based paint chips from buildings abandoned by the US Navy. 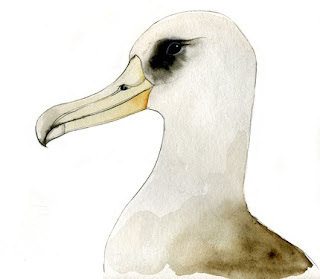 A UK organization, Birdlife International has been manning the Albatross Task Force. The ATF is the world’s first international team of experts educating fishermen on using more albatross friendly fishing techniques to reduce needless casualties. You can read more up on it here and here, and consider making a donation as I just did. The albatross is little short of awe-inspiring. You have captured the Laysan Albatross beautifully. I'm also a taxidermist(preparator) and artist working on seabird study skins at the Queensland Museum in brisbane Australia. The albatross has captured me too and inspired my next exhibition Its shocking whats happening with the long line fishing. And the plastic too. Amazing to think of someone on the other side of the world doing similar things.